As a two-time breast cancer survivor, I always appreciate it when a beauty brand decides to “go pink” for the cause and actually commits to it year after year. A lot don’t, believe me! Many a brand will jump on the bandwagon to leverage a few sales, then disappear the following year when a newer, shinier charity takes their eye. This is vastly unlike ghd, who have been in it for the long haul. This is the thirteenth year that ghd New Zealand has served up an amazing fundraising initiative for the Breast Cancer Foundation New Zealand, having already donated an amazing $1,000,000 to the charity through sales of their annual, highly coveted ghd pink stylers. The work done by the BCFNZ is vital for people like me, and their services that I have accessed over the years have made an incredible impact at a very difficult time. But on to this year’s limited edition styling tools at hand, which were unveiled to media a few weeks’ ago at a beautiful event at Ponsonby salon Kindred Human + Earth. This season, the limited edition pink range is even more covetable, having undergone an absolutely gorgeous vintage makeover thanks to a collaboration with UK designer Lulu Guinness. 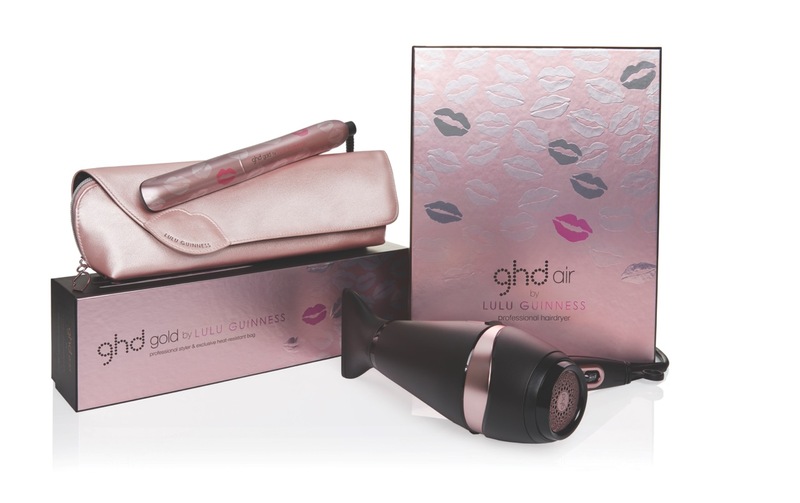 The limited edition ghd x Lulu Guinness collection features Lulu’s iconic lip print on the new ghd gold straightener and ghd air hairdryer, with $20 from every pink straightener and $10 from every pink hairdryer going to the Breast Cancer Foundation of NZ. “The ghd annual pink collection is so iconic and has raised an incredible amount of money for breast cancer charities globally,” says Guinness, “over $20 million! I am thrilled to be a part of the campaign this year and hope that my design helps to raise even more valuable money for charity.” The ghd gold by Lulu Guinness comes with with Lulu Guinness’ cult lip print design and an exclusive Lulu Guinness heat-resistant bag. $20 donated to BCFNZ, whilst the GHD air by Lulu Guinness features limited edition pink accents and a beautiful dust bag. Want them both!